Shopping for Sleeping Beauty Eyewear? Have a fun day in the sun looking like Maleficent! 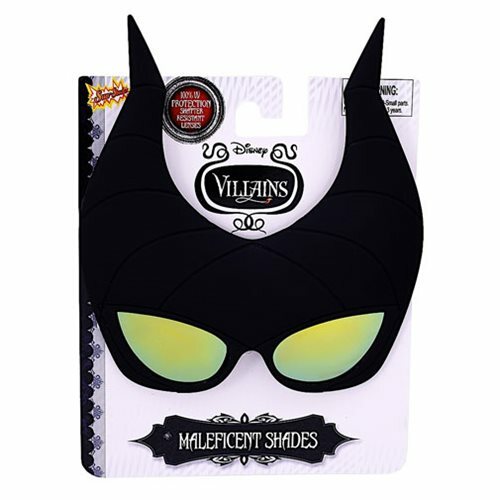 These Sleeping Beauty Maleficent Sun-Staches will let you look just like the Disney Villain. These awesome Maleficent Shades feature 100% UV protection and shatter-resistant lenses. Measures approximately 7 1/4-inches tall by 6 3/4-inches wide. Ages 13 and up.